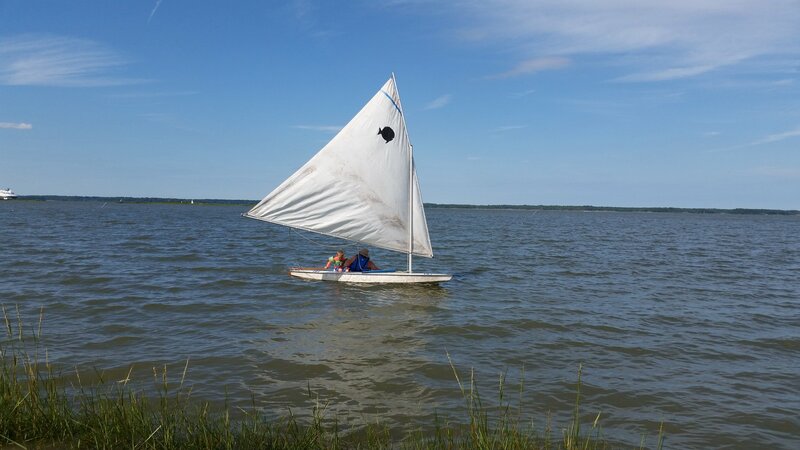 Did you know that three-year-olds are capable of piloting a Sunfish? Neither did I. Which is why I’m, once again, grateful that James is around. We found a spot with a small beach on the York River. (I can’t tell you more because, as we found out a week later when we went back, you cannot launch boats from this particular spot on the York River. Whoops.) We brought our Sunfish, an umbrella, and snacks to feed an army (or a family of 4 looking to spend the day at the beach). 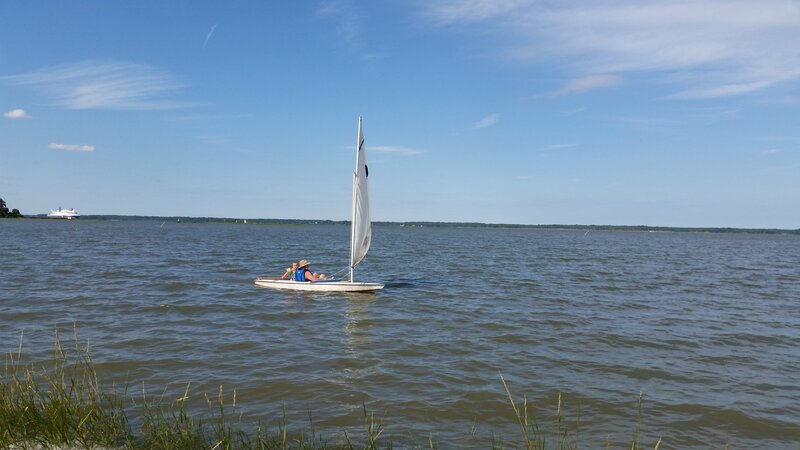 James’ not so secret goal was to get me out and piloting the Sunfish. Sleep deprivation and highish winds kept me on the shore, despite his reassurance that we were on the leeward shore so the wind would just end up blowing me towards the shore if anything were to happen. So he convinced Mattie to go out with him with the promise of Oreos when they got back. You can get Mattie to do most anything with the promise of an Oreo. They sailed out, sailed around a small island and through a flock of birds, and were heading back. As they were running downwind, I couldn’t help but notice that the person in the bow of the boat looked a lot bigger than a three-year-old. And sure enough, there was James in the bow and Mattie at the helm, concentrating hard on steering the boat home. I really enjoyed reading about your adventures. I am a fellow U.S. Navy veteran and now lucky companion of an Allied Seawind I . Hull 7. Wishing you and your family Fair Winds and Following Seas from sv Fair Winds, Caribbean Sea.